Pseudonymization with MongoDB Views — Keeping data anonymous is a key concern when working with the EU’s ‘GDPR’ data protection regulations and psuedonymization is the process of replacing personally identifiable information fields with artificial identifiers. A Guide to Building a REST API with Node.js and MongoDB — Uses Passport and JWTs for authentication. How to Use the Official MongoDB Go(lang) Driver — Including using Go 1.11’s module features and performing CRUD-style operations. 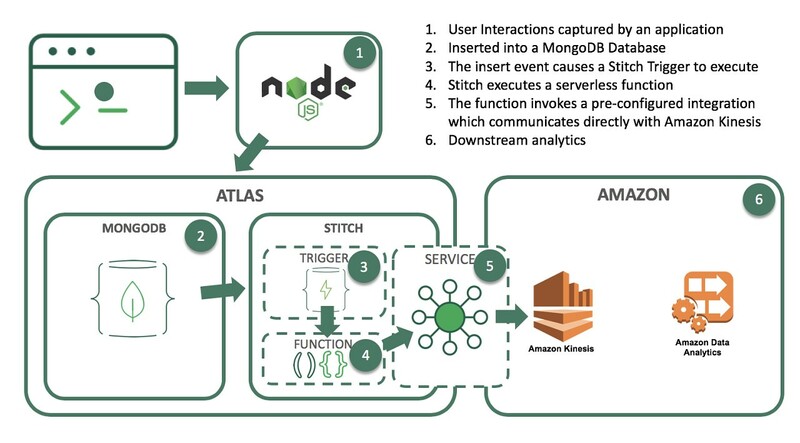 ▶ How Radar Scales Up with MongoDB Atlas — Radar is a location tracking platform for mobile apps that uses MongoDB and AWS behind the scenes. Mongoose 5.2.13 Released — Mongoose is a popular MongoDB object modelling library for Node.js.